This informal, drop-in setting will give you extra practice time to perfect your drawing skills, develop a portfolio, or just relax! The facilitator will be there to assist with any questions or advice needed. 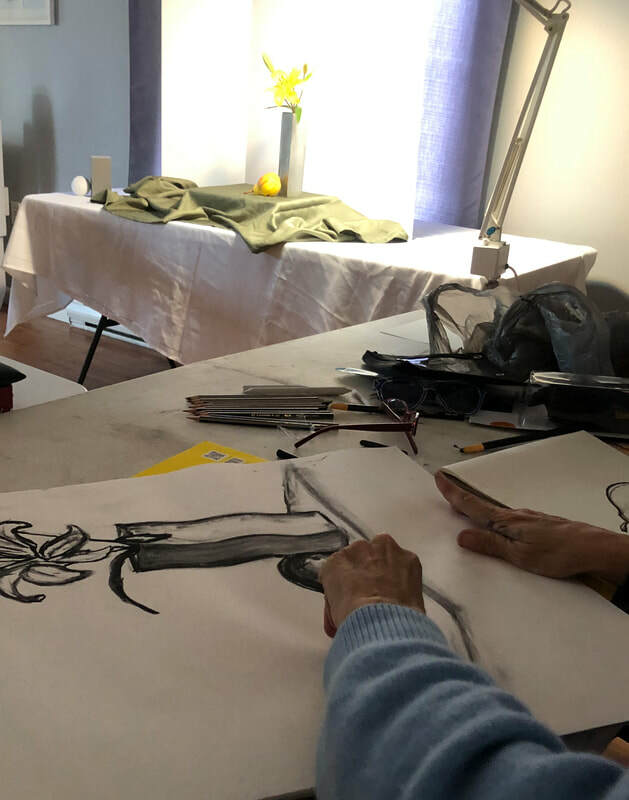 Multiple still-life setups, based on a new theme each week, will offer a variety of subject matter and challenges for artists of all abilities. ﻿﻿A graduate of Rhode Island School of Design with a degree in Illustration, Donna has worked as a designer, illustrator and fine artist for 20+ years. Teaching experience includes instruction in both computer and traditional art methods at Arlington Catholic High School and the Museum of Fine Arts in Boston. Additionally, she has provided instruction assistance at the University of Colorado in printmaking. She can be found creating art of all kinds at her Do Well Studio in Sandwich, MA.